So, we saw another drama unfold online and on social networks. While, once again, the story was told online, and particularly on Twitter and Reddit, for a couple of organization, ignorance proved to be very damaging. 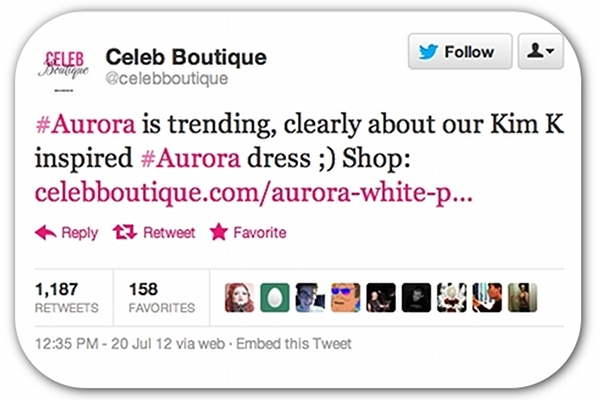 You would think that by now, organizations would know that social listening (or monitoring) should be a routine matter. The media sure knows and more and more stories are broken via social network tips and monitoring. 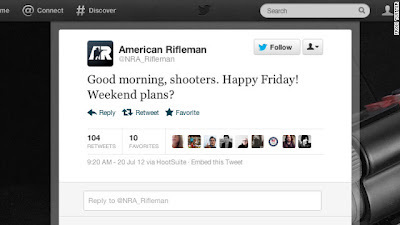 But two entities, one a powerful US lobby group (the National Rifle Association or NRA), the other one a trendy online retailer, clearly missed the memo about the need to monitor your social environment and the news ... in other words, maintaining general situational awareness as a matter of course. What did they do? they tweeted out of turn ... made them look totally insensitive, uncaring and positively revolting. The reason? The people tweeting were unaware of the tragedy. While one might say: oh, how could they have known? I posit that the real question is: "How could they NOT have known?" Here's the NRA's tweet. At first people thought it might have been a pre-scheduled tweet that went out automatically at a certain time. Turns out, not the case. They simply didn't know. Well, is the tweet not only gone, the whole account has disappeared and the NRA has got a full omelet on its face. 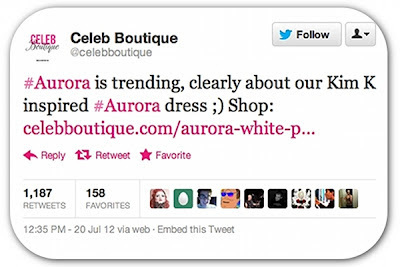 The UK-based Celebboutique.com tweeter thought they could capitalize on a trending hashtag on Twitter, without really checking WHY is what so popular. So, what to do? Well, if you're not monitoring social media, key blogs and general news website on an ongoing basis, you're in danger of making the same mistake. This is not time wasting ... just surfing the net to kill time at work ... No, it's an essential crisis communications activity and business intelligence practice. That's how i spend the first 30 minutes of my days ... and many more after that, checking intermittently throughout the following hours.